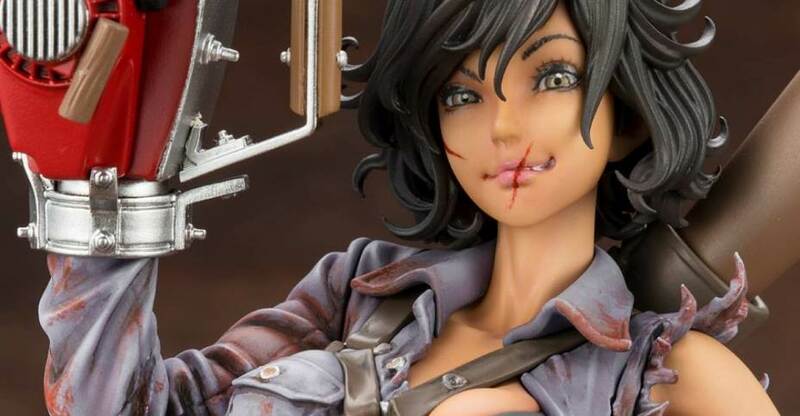 Kotobukiya has opened pre-orders for the Evil Dead 2: Dead by Dawn – Female Ash Williams Bishoujo Statue and I gotta say, I am very confused. 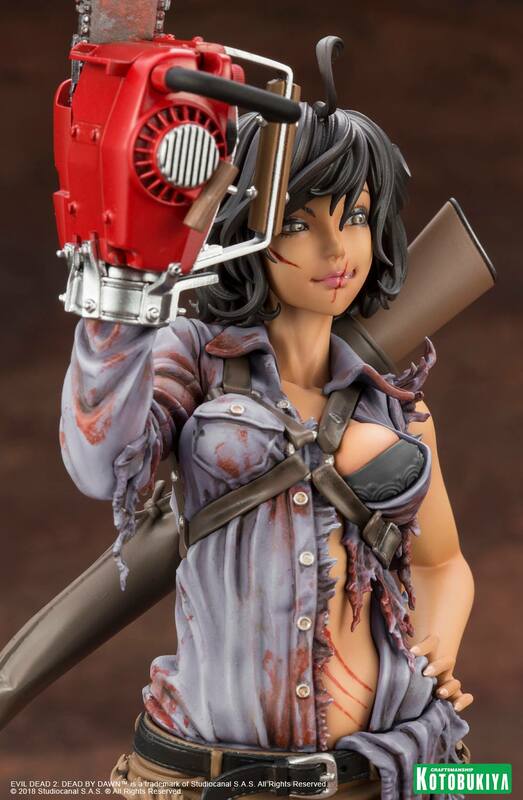 The Female Ash Williams is a new horror Bishoujo statue is a 1/7th statue and stands at 9″ tall. It would also come with a cabin floor themed base and priced at $89.99.